The 2018 ACS competition saw 13 Vermont cheesemakers awarded 36 ribbons, including Best of Show for Harbison and a second-place Best of Show finish for Calderwood, both created by Jasper Hill Farm in Greensboro, VT.
Randolph, VT, (July 27, 2018): The Vermont Cheese Council (VCC), an organization dedicated to the production and advancement of Vermont Cheese, announced that Vermont cheesemakers took home 36 ribbons for 13 cheesemakers and their companies at the 35th Annual American Cheese Society competition in Pittsburgh, PA on Friday evening. Two Vermont cheeses were honored for being Best of Show. Both winners were from Jasper Hill Farm including a first- place win for Harbison and a second-place for Calderwood from Jasper Hill Farm in Greensboro, VT. 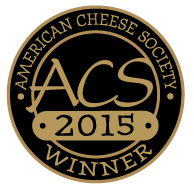 The American Cheese Society (ACS) is the leading organization supporting the understanding, appreciation and promotion of farmstead, artisan and specialty cheeses produced in the Americas. 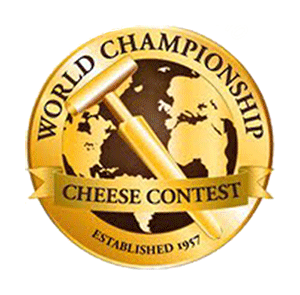 Since its founding in 1983, ACS hosts North America’s foremost annual cheese-based educational conference, and world-renowned cheese judging and competition. This year’s competition included 2024 entries from across North America. This year’s event titled “Forged in Cheese” was located in Pittsburgh, PA. The conference alternates each year between coasts and the middle of the country. Next year’s event will take place in Richmond, VA on July 31- August 3. Twenty Vermont cheesemakers submitted cheeses for judging at the prestigious competition this year, due in part to the VCC’s sponsorship programs for ACS entry fee reimbursement. The VCC sponsors Vermont cheesemakers’ ACS entry fees to support their efforts in showcasing their cheese in a competition setting. This year, there were 2024 cheeses from around the US in the competition. All competitors are given judging notes for their products which are helpful in evaluating the cheeses and in some cases, improving the quality of production of cheeses. The VCC finds this aspect of the competition an invaluable educational tool for its members. The 2017 ACS competition saw 13 Vermont cheesemakers awarded 41 ribbons, including top-ranking Best of Show ribbons for Spring Brook Farm’s “Tarentaise Reserve,” located in Reading, VT., and a third-place Best of Show for “Harbison” made by Jasper Hill Farm in Greensboro, VT. Harbison moved up in 2018 to Best in Show winner. 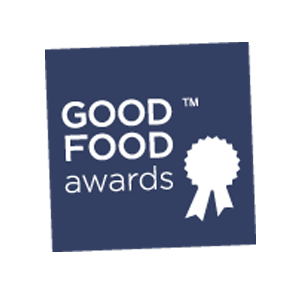 San Francisco, CA ( November 7, 2017 ) — The Good Food Foundation is proud to announce the 279 companies in the running for a Good Food Award in 2018. The Finalists represent not just the best of America’s food movement, but the qualities we love most about this country: our rich cultural diversity, vibrant agricultural landscape, and the creativity and integrity of its small business owners. 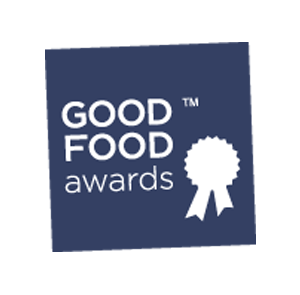 The 15 categories the Good Food Awards celebrate – from spirits to cheese to coffee – comprise over $200 billion of America’s gross domestic product, a greater portion than the cattle and pork industries combined. The 2018 Finalists represent the vanguard in each of their industries, setting new standards for gastronomic excellence as well as social and environmental practices that have over time proven to be adopted by the rest of the industry. Each Finalist rose to the top in a blind tasting of 2,057 entires, and also passed a rigorous vetting to confirm they meet Good Food Awards standards regarding supply chain transparency, environmentally sound agricultural practices, humane animal husbandry and deep community engagement. Amongst their ranks are Mehdi Boujrada of Villa Jerada, who brings the flavors of his childhood home in Morocco to Seattle; Mark Sanfilippo of Salume Beddu, who crafts Tuscan – style salami in Saint Louis; and Ayako lino, who combines Japanese tradition with California plums to make her ume pickles, syrups, and preserves. All of the Finalists – including 162 companies ( 58% ) that have never won before – partner with hundreds of farmers, ranchers and fisherman to actively build a better food system. The Winners will be announced on Friday, January 19, 2018, at a gala in the historic San Francisco War Memorial followed by two days of celebration including the public Good Food Awards Marketplace ( $5 ) and the industry-only Good Food Mercantile ( $35 ). A limited number of tickets are available to join the Winners and honorary host Alice Waters, pioneer of the food movement, at the Awards Ceremony ( $165 ). The 2017 ACS competition saw 13 Vermont cheesemakers awarded 40 ribbons, including Best of Show for Tarentaise Reserve from Spring Brook Farm/ Farms for City Kids in Reading, VT and a third-place Best of Show finish for Harbison created by The Cellars at Jasper Hill Farm in Greensboro, VT.
Randolph, VT, (July 30, 2017): The Vermont Cheese Council (VCC), an organization dedicated to the production and advancement of Vermont Cheese, announced that Vermont cheesemakers took home 41 ribbons for 13 cheesemakers and companies at the 34th annual American Cheese Society competition in Denver, Colorado Friday evening. Two Vermont cheeses were honored for being Best of Show Winners including a first- place win for Tarentaise Reserve from Spring Brook Farm/Farms for City Kids Foundation in Reading, VT and a third-place for Harbison from Cellars at Jasper Hill Farm in Greensboro, VT.
A record number of Vermont cheesemakers – 30 in total – submitted cheeses to be judged at the prestigious competition this year, due in part to the VCC’s sponsorship programs for ACS membership and entry fee reimbursement. The VCC sponsored Vermont cheesemakers’ ACS entry fees to support their efforts in showcasing their cheese in a competition setting. This year, there were 2024 cheeses from around the US in the competition. All competitors are given judging notes for their products which are helpful in evaluating the cheeses and in some cases, improving the quality of production of cheeses. The VCC finds this aspect of the competition an invaluable educational tool for its members. Cellars at Jasper Hill Farms, Greensboro, VT, Harbison, Third Place for Best in Show. von Trapp Farmstead, Waitsfield, VT: Mt. Alice, third place. For a comprehensive list of the 2017 American Cheese Society winners, visit CheeseJudging.org. The state of Vermont, celebrated for its focus on family agriculture, small farms, and Vermont-made products, including cheese, boasts more cheese companies per capita than any other state in the nation. There are currently 50 members of the Vermont Cheese Council making over 225 varieties of cheese. Cheesemakers range in size from producers for local farmers markets to producers selling in regional, national and international markets. Cheesemaking represents 650 million dollars in revenue for Vermont companies. The 2016 ACS competition saw 13 Vermont cheesemakers awarded 35 ribbons, including Best of Show third place finish for Greensward created by Jasper Hill Farm in Greensboro, VT in conjunction with Murray’s Cheese Shop in New York City. The Vermont Cheese Council is a statewide membership based organization with 50 principal cheese producing members and over 20 associate members. The VCC is committed to promoting the advancement and quality of Vermont cheese through promotion, education and strong peer to peer support. The organization has been in existence since 1992. For more information, please contact: Tom Bivins, Executive Director at tom@vtcheese.com or call 802-451-8564 or visit the Vermont Cheese Council website at www.vtcheese.com. Jasper Hill Farms, Greensboro and Murray’s Cheese Shop, NYC: Greensward, Third Place, Best in Show. von Trapp Farmstead, Waitsfield: Mad River Blue, second place. Cellars at Jasper Hill, Greensboro: Third Place-Best in Show for Harbison. Super Gold: Cellars at Jasper Hill: Bayley Hazen Blue. Given in Albuquerque, NM, and feature all foods hot, spicy and zesty. 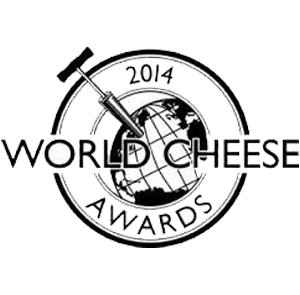 Thirteen VCC Cheesemakers took home 51 awards! Complete Award Listings including Categories here. With a record-setting 258 producers from the United States, Canada and Mexico, an international panel of 34 judges took on the monumental task of evaluating 1,676 cheeses and dairy products on both technical and aesthetic criteria to determine this year’s winners. Twelve VCC members took home 26 ribbons! Complete Vermont Award Listings including Categories here. Twelve VCC Cheesemakers took home 30 awards! 12 Vermont cheesemakers took home 28 ribbons from this year’s Eastern States Exposition Cheese Competition. 25 producers submitted over 89 cheeses for evaluation. Vermont cheesemakers received 28 of the 56 medals awarded, including “Best of Show” which went to Cobb Hill Cheese’s Ascutney Mountain! “Best of Show” & Gold Medal for Swiss Style! Ascutney Mountain Cheese, an Alpine Swiss by Cobb Hill Cheese of Hartland, Vermont, was judged Best in Show at The Big E Gold Medal Cheese Competition held at Eastern States Exposition in West Springfield, Mass. Grafton Village Cheese Company ~ Cave Aged Cheddar, Double Bag Mustard Cheddar, Horseradish Cheddar, and Maple Smoke Cheddar. Thirteen Vermont cheesemakers were awarded 36 total ribbons at the 27th annual American Cheese Society (ACS) conference and competition for specialty and artisanal cheeses from North America. 225 producers from 34 states, Canada and Mexico submitted 1,462 cheeses for evaluation on both technical and aesthetic criteria. 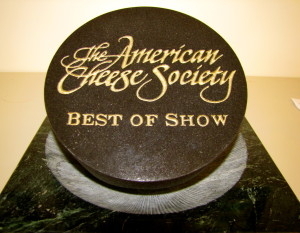 Vermont Creamery’s Bonne Bouche, earned 2nd place in “Best of Show”. Spring Brook Farm Tarentaise from Farms For City Kids Foundation earned 3rd place in “Best of Show”. 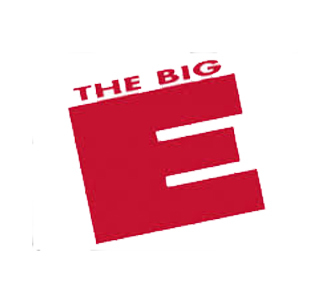 The second annual Gold Medal Cheese Competition was held at the Big E in Springfield, MA. Randolph left cheese makers from Neighborly Farms were somewhat shocked to discover that not only had their Organic Raw Milk Clothbound Cheddar taken the Gold medal in the cheddar category, but it also was awarded Best in Show. If you are interested in how Vermont has placed in the past check out the following chart that showsVermont’s successes over the past nine years.